The Grinnall Scorpion is one of the most distinguished three-wheeled cars available. 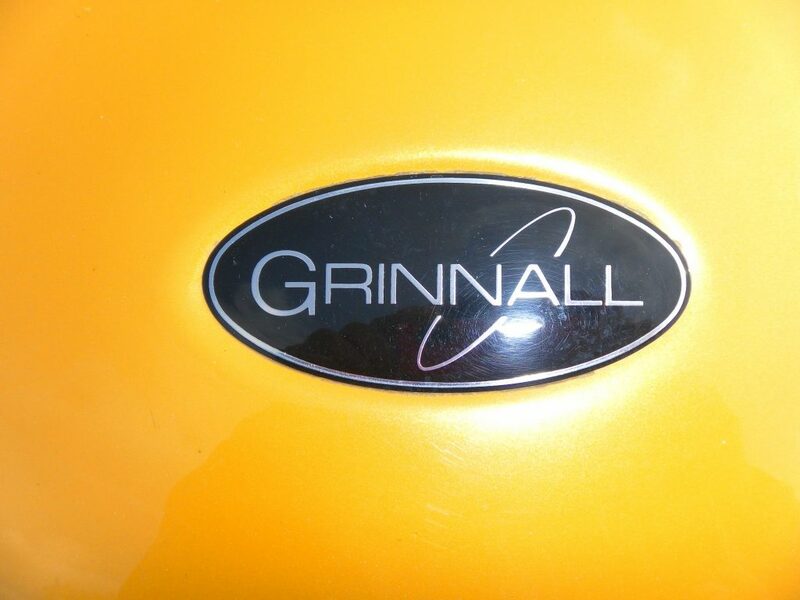 The Grinnall Scorpion looks forward rather than backwards when it comes to the three-wheeled vehicles. The Grinnall Scorpion is powered by a high-performance motorcycle engine brought to you by BMW, which is subsequently mounted to a lightweight space frame chassis with an extremely sophisticated suspension setup, which is covered in a composite gel coat body. The Grinnall Scorpion uses a hell of a lot of race-car technology than most of the other three-wheeled cars available on the market today. The space frame chassis of the Grinnall Scorpion which sits beneath the stylish and sleek shape that has been developed by Mark Grinnall and Neil Williams has then been refined and tested by a leading engineering company called Mecal Engineering. This combination is guaranteed that the highest possible performance and safety have been achieved along with keeping the weight down. 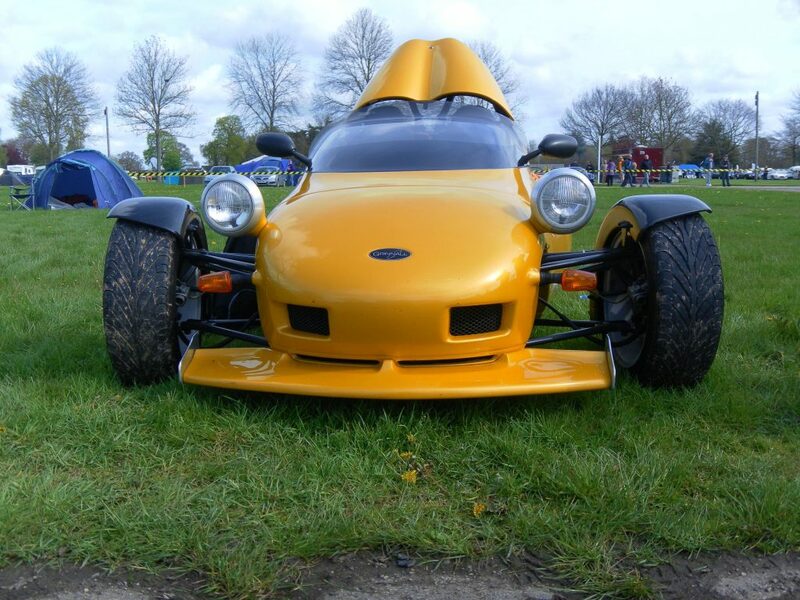 Because the Grinnall Scorpion was built and designed to such a high standard, it exceeded the standard that was needed for registration in a lot of countries, and this resulted in the Grinnall Scorpion 1100 getting full TUV approval, which is definitely something to be proud of as a kit car manufacturer. The Grinnall Scorpion was designed and built around the engines and drive trains from the BMW four-cylinder motorbikes. All of these engines are water cooled, fuel injected and have double overhead cams along with 16 valves, which as you can imagine is going to produce a lot of power and some fantastic performance. Depending on the engine size you can expect everything from 100bhp to 180bhp, which will provide you with an exceptional amount of fun and enjoyment on and off the track. One of the things that makes the Grinnall Scorpion very attractive is Grinnall Cars are partners with BMW, and this means they can buy engines and parts directly from BMW so it simply cuts out the middleman and ensures you, the customer gets the finest engines at the best possible prices. In the early 1100 cc and 1200 cc drive trains they use a car type clutch. However, with the K40 engine, the clutch is now a wet clutch, which is oil-bathed multi-plate and hydraulically operated. The K40 also has a dry sump which guarantees better cooling, complete lubrication and there is no oil surge when cornering, which gives this Grinnall Scorpion a real edge on the track. 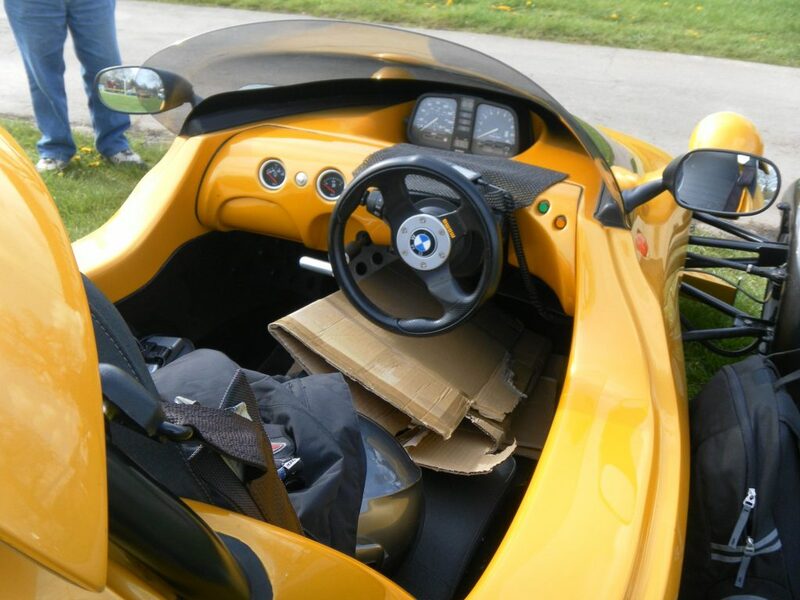 The Grinnall Scorpion uses the BMW standard rear swing arm suspension setup and they have the BMWs ‘Para Lever’ system, which stops the car jacking up under acceleration and the BMW K40 is also fitted with ‘rising rate’ linked suspension, which allows an ultra smooth ride with the springs and dampers working on demand. The BMW K40 has the latest engine management system that guarantees a truly amazing smooth torque and a fantastic performance but also is very fuel-efficient. With this engine management system, you can have full engine analysis, including self cancelling indicator’s digital dashboard and keyless proximity engine starting, and you can have a detachable steering wheel which is one of the best antitheft devices. I have been able to get up close and personal with a few Grinnall Scorpions in the past as I have a good friend who is completely in love with them. He is driven hundreds of miles in a single day without getting tired or bored, and this is because they are extremely stable on the motorway they handle like they on rails, and they are not too noisy so you don’t get a headache which is unusual for a kit car. I’m always really impressed with the presence that the Grinnall Scorpion has, and I always spend a long time looking around and sitting in my friends Grinnall Scorpion kit car. 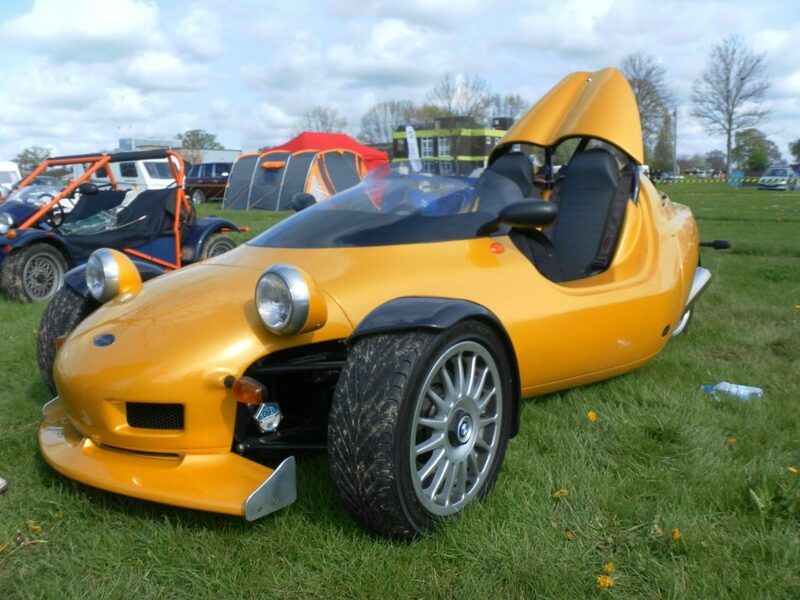 I have to say that it is probably one of the few kit cars that I would actually own in the future as it truly does appeal to me very much like the Razor Kit Car which I have spoken about in previous posts on this site. So how much does a Grinnall Scorpion cost to build? There are lots of options available when building a Grinnall Scorpion, and so it is fairly hard to gauge how much your build will cost. However, if you take a look at the Grinnall Scorpion website. You can see lots of options. For £7995 +VAT . You can get standard kit which all you need then is the engine and of course I recommend the BMW K40 so you’re probably looking at spending around £16K in total, which is not too bad really, considering how much car you’re getting for your money and of course the performance and the fuel economy are definitely things you need to consider. I know from experience that you can pick up Grinnall Scorpion fairly inexpensively second-hand I say inexpensively I’m talking around the £8-£10,000 mark. This will give you a truly nice road legal Grinnall Scorpion, and the good thing about kit cars is that when things break their easy to repair, and the Grinnall Scorpion is no different. My friend often replaces engines for his friends in Grinnall Scorpion’s not due to because they are broken, but just because they want more power.